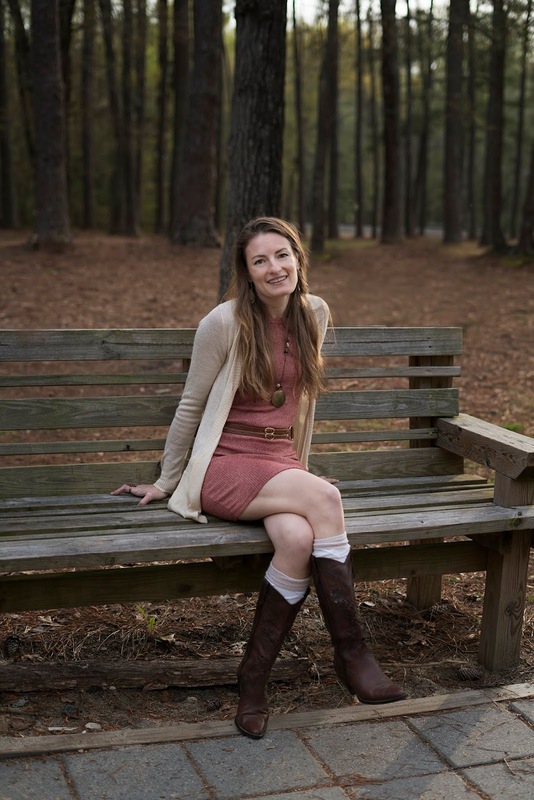 Jo's idyllic life would make most people jealous. Until one day her daughter is abducted and the only way to find her is to unravel her dark past. Ellie is a devoted wife... until she discovers the pain of betrayal. Now vengeance is all she can think about. Party-girl Shayla knows how to hide her demons. But when she's confronted with a life-shattering choice, it will cost her everything. From USA TODAY best-selling author Pamela Crane comes "a thought-provoking domestic noir novel perfect for fans of Liane Moriarty and B.A. Paris ... A chilling look at the secrets mothers will hide for the sake of their families, and the gruesome reality of what can break an everyday woman." If I could only write two words for this book it would be: ABSOLUTELY BRILLIANT. Talk about hooked from the start! 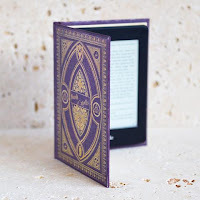 Once I'd read the opening page, I simply couldn't put the book down until I found out whose family had been killed and why. What an absolutely jaw dropping start to a book: a woman holding her dead husband's hand whilst her other hand holds a knife covered with the blood of her children. WHAT!?!? Who is this? Who lives at 15 Oleander Way? 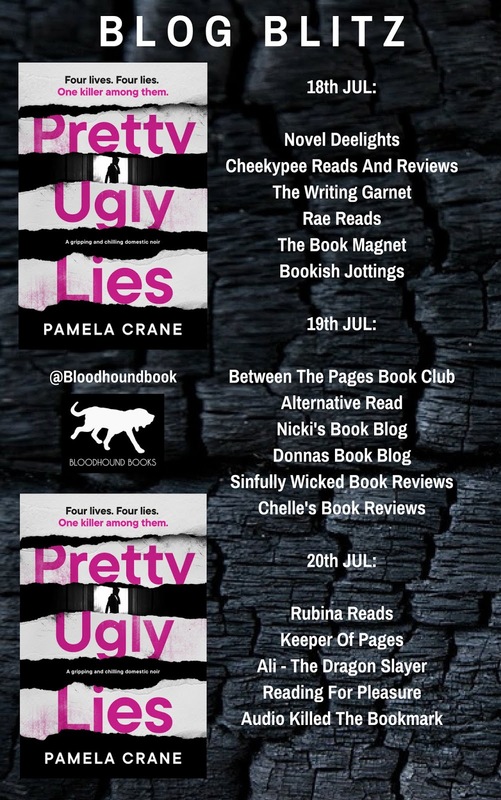 Well I couldn't read fast enough to find out and as we peep through the curtains into the lives of four women we realise that any one of them could be our killer. Jo Trubeau is hiding a secret from her past that comes back to haunt her when her youngest daughter is abducted from the playground. It soon becomes clear that Amelia was chosen because she's Jo's daughter and Jo must decide exactly how much her secret is worth keeping. As tension mounts between Jo and her husband, Jo is very close to breaking point and if Amelia is not found, who knows what she might do. Ellie Harper has given up everything to be a wife and mother but her family treat her like dirt. Her 11 year old daughter, Darla, acts like an insolent teenager and her 9 year old son, Logan, has been expelled from school for biting. Both children treat Ellie like a slave and when Ellie finds lipstick on her husband's collar, it really could be the straw the broke the camel's back. Shayla Kensington is suffering from bipolar disorder and has an affair in her manic state which she soon regrets, but by then it's too late. When her son, Arion, finds Shayla with her fancy-man he transforms from a 'wet noodle' (as Shayla calls him) to a stick of dynamite. If Shayla wants to stop Arion from telling her husband, she has to take matters into her own hands. Our final suspect is June Merrigan. We are introduced to June as she is hiding in a closet (a wardrobe to those of us this side of the Atlantic), desperate to escape her autistic son, Austin. Also in the closet is a shoebox with a gun inside and June has very vivid fantasies of putting that gun to her head and pulling the trigger. What secret is she hiding that would make blowing her brains out preferable to it being revealed? Each woman became my prime suspect at one time or another and because of their juicy stories, any single one of them could have killed their family. The way the whole story is put together is simply sublime; it's like doing a jigsaw with a missing piece and only when that piece is slotted in, can the whole picture be revealed. The gripping, gruesome opening scene reminded me of the TV show Damages and Liane Moriarty's Big Little Lies, where you see the end of the story and can't watch or read fast enough to find out how the characters got there. I loved how the woman in Chapter 1 could easily be any one of the four women we are introduced to. Their stories are quite heartbreaking when you delve into them despite each of them having the appearance of a Stepford Wife. One of these women is a murderer...will you guess which one? 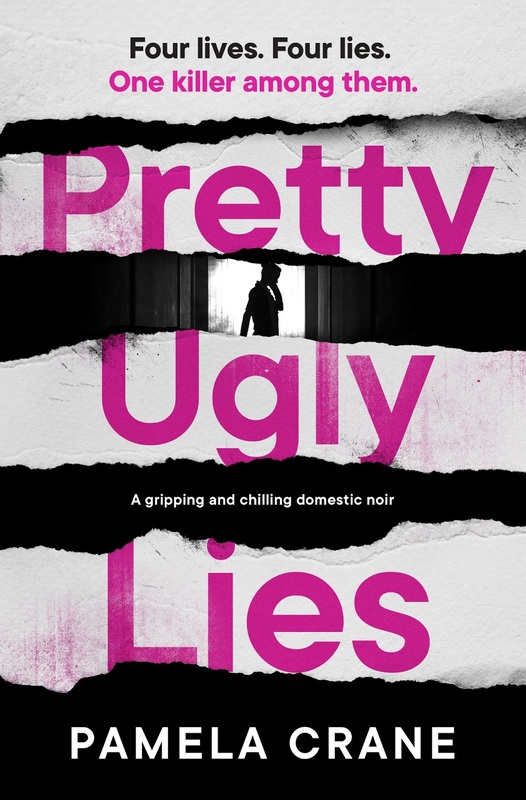 Pretty Ugly Lies is what domestic noir is all about; gripping, shocking, surprising and absolutely brilliant. If you like Liane Moriarty, you will LOVE Pamela Crane. 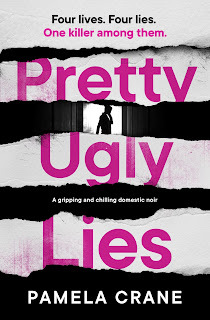 Take my word for it: Pretty Ugly Lies is pretty freaking great!